Think about your current or ideal office space. Particularly the first place that people see as they walk through the door – the reception area. What do you see? Does it reflect your company and its brand? The company’s culture and values? Is it notable, charming and welcoming? Does it feel like it represents the very core of the business, preparing individuals for what to expect as they venture further? Does it positively speak to clients and employees alike saying, “This is where you belong to get the job done”? At this point you may be asking, why do any of those questions matter? The answer is simple: The reception area is arguably the most important space in office design, because it is what makes the first and last impression – the one that lasts indefinitely. If a prospective client walks into a reception area that seems closed-off, cluttered, detached and impersonal it is likely that such will be reflected in their impression about their entire experience with the business, and then what will be relayed through word-of-mouth thereafter. Instead, the look and feel of the reception area should feel completely welcoming to all visitors, in both personality, functionality and style. The company’s brand should not simply be posted with a large logo in the middle of a wall. It should be reflected in the design, color, textures, space, lighting and furniture throughout the entire reception area, and the rest of the office. So, how do you create a reception area that sets the tone for the whole business and creates a powerful first impression? While it may sound bias coming from one of your favorite retail furniture stores, there is a lot of truth in recognizing that the office furniture is what begins to set the initial tone of any space. After all, it is what usually takes up the most area and demonstrates the value that the company sees within itself, its employees and its clientele. Of all the office furniture your business will own, reception furniture are the most important pieces to get right. High-quality reception furniture has the power to create a lasting first impression with your new clients and prospects. 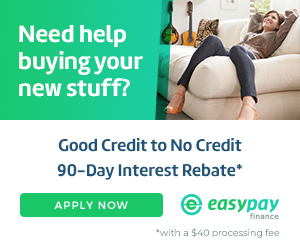 Get furniture that will look beautiful for years to come that fits your unique needs and budget. The largest piece of furniture that needs to be considered is the reception desk. It is the place where your receptionist will most frequent, greeting every person that comes through the door, and can determine how the remaining area is designed. 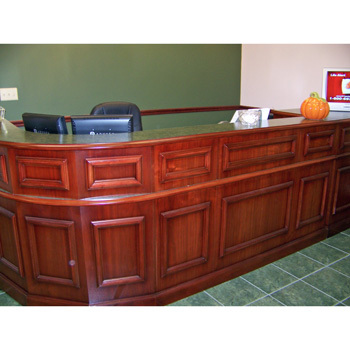 The Beautiful Custom Traditional Wood Carrico Reception Desk is perfect for businesses looking for a desk with a curved or circular appearance to suit a large waiting room and be the focal point of the reception area. It allows you to have any setup you need, and is proudly American made with high-quality hardwoods, carefully stained, and designed with either traditional or contemporary details. 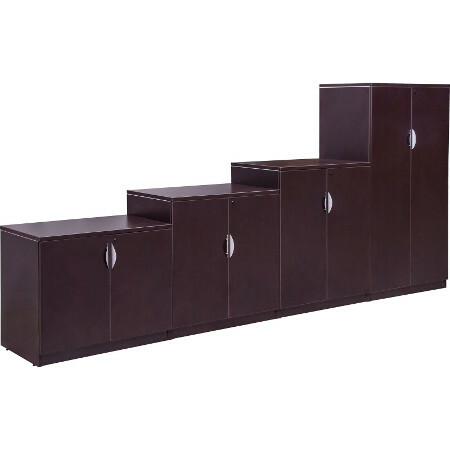 The Express EL Cherry Reception U-Station is ideal for receptionists that want quick and accessible storage areas in arm’s reach, without sacrificing surface area to perform daily tasks. It comes with the 71” desk, 47” bridge, 71” credenza, box-box-file, file-file, hutch, and wardrobe cabinet; though other configurations are available to fit your unique needs and budget. No matter what combination you choose, this U-shaped reception desk will provide optimal space in a small or large reception area. The Express EL Series Cherry Reception Desk with Box Files and Express EL Series Cherry Reception Desk with Floor-Length Drawers are ideal for small to large reception areas, depending on configuration, and for receptionists that don’t want to sacrifice space and privacy to get work done efficiently and effectively. In addition to a reception desk that provides both functionality and style, don’t forget to include chairs and/or additional small work areas that are ergonomically friendly. To learn more about Better Office Furniture’s available ergonomic furniture and their importance, check out our previous posts on the X-Chair, Improving Workspaces and Health, and How to Prevent the “Sitting Disease.” Your receptionist will thank you later. To stay simple without sacrificing quality, comfort or your budget, the Black SledBase Guest Chair or Black Guest Chair with Arms and Mesh Back are ideal for large reception areas that require an equally large number of chairs for clients and other guests, or small areas that require a few extra spaces for seating. They stack to move out of the way when unneeded; also making them easy to store and easy to move in a moment’s notice. 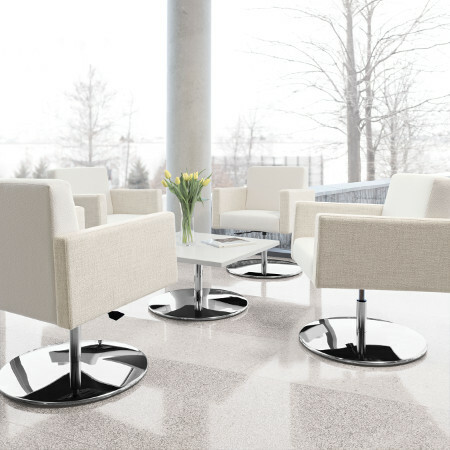 To add a great touch of class and comfort, check out the Global ML Reception Seating or the Jeo Self Centering Lounge Chairs with Pedestal Bases that will work in a variety of layouts and truly speak to the branding experience to corporate or hospitality settings. Plus, don’t forget the ultimate comfort experience for multiple guests or longer wait times with the Global Citi 3 Seat Black Sofa, the Global Citi 7876 Two Person Black Sofa, or the Contemporary Taupe Loveseat. Or, for even more arrangement choices and multifunctional capabilities (such as electric chargers for laptop use), check out the beautiful Grey GW Series Modular Reception Seating with optional Charging Arm. For any business, these sofas and loveseats will provide both strong value and layout flexibility, making them a great addition to any reception area or office setting. Need a simple solution for adding plants, magazines and other amenities to the reception area? Check out the New Cherry Laminate End Table, also in Mahogany or Espresso, that is the perfect fit for any sized space. Don’t let your reception area leave a bad impression by feeling cluttered and messy. Keep the reception area well-organized with one or more of our many varieties of storage cabinets. Better Office Furniture also has a great selection of beautifully crafted, quality bookcases and shelving that will withstand years of use. Perfect for displaying reading materials in the reception area for both clients and employees. While it may seem simple to pick out a few pieces of furniture for a reception area, the layout and strategic placement of the furniture is key to making a positive first impression. If you aren’t sure what pieces or layout will work best for your chosen space, ask Better Office Furniture to customize your reception space for you. Through our Space Planning Analysis, you will receive the best space planning that will ensure a balance of privacy and accessibility, reduce hindering noises and create space, and improve the overall productivity and comfort of the office. Now that you’ve thought about the most significant pieces that will begin to set the tone of your business reception area, it is time to add everything in-between that solidifies the essence of your brand, successfully reflects the concept of your business, inspires your employees, and brings significant and memorable experiences to your clients. Much like the furniture itself, don’t be afraid to keep it simple. Let the entire space speak to your clients and create a connection simply by the layout and design. To learn more, check out our previous articles on Cultivating a Reception Area Atmosphere, Ways to Organize the Office for Professionalism and Productivity, and Building Office Morale by Improving Workspace. To get started on planning a reception area or other office space that makes a big impression, no matter the size, check out our free Office Planning Resources or give Better Office Furniture of St. Charles, MO a call at 314-266-9083 today!